When a comical, clumsy cat’s nightmare triggers a chain reaction that threatens to derail Christmas for her family, the holiday spirit brings out the best in neighbors and saves the day. In the latest installment of its entertaining holiday ads, Sainsbury’s latest Christmas video features a beloved feline that nearly burns down the house before becoming the cat-alyst for an unforgettable holiday. 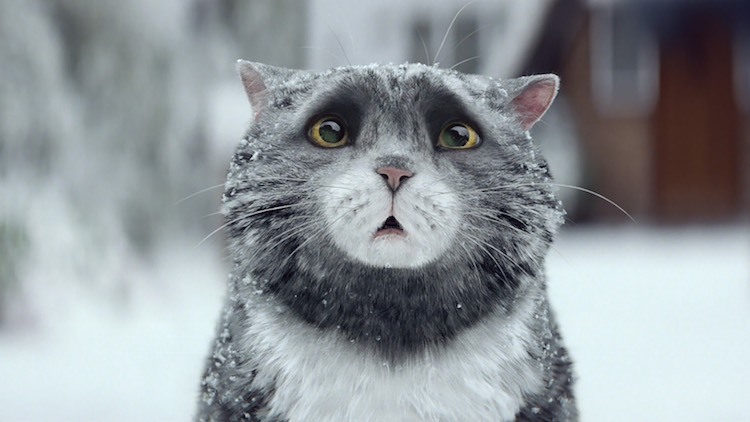 Mog, a popular British children’s book character created by Judith Kerr, is the star of the latest promotion by the British supermarket chain – but her performance also makes her a hero for childhood literacy in the UK. Kerr has even written a companion book, Mog’s Christmas Calamity, from which all the profits will be donated to Save the Children programs that eliminate illiteracy. The book is available for £3.00 online at Sainsbury’s website. Last year, the company’s holiday ad recreated the spontaneous “Christmas Truce” between British and German troops who each laid down their guns, played soccer, and exchanged gifts during the first Christmas of World War I.